The Resident Evil Reboot has found its director. Even though the long-running franchise, which is based on the very popular Capcom video game series of the same name, just concluded its run last year with Resident Evil: The Final Chapter, Constantine Films wants to keep cashing in. As such, they're moving forward with a reboot and they've tapped Johannes Roberts to helm this new chapter in the franchise, which will be taking things in a different direction. According to a new report, Johannes Roberts, who previously helmed the hit shark flick 47 Meters Down, has been hired by the studio to write and direct the new Resident Evil movie. It seems as though they're not going to sit on their hands with this one, as it's expected that the reboot will begin production sometime in 2019, with an all new cast stepping in. Sorry, Milla Jovovich fans. Roberts also directed the recent slasher sequel Strangers: Prey At Night, as well as The Other Side of the Door. Horror certainly seems to be in his wheelhouse, be it with sharks or masked slashers. Now, he's going to try his hand at zombies. It's particularly interesting that the report states Johannes Roberts, who has been in line for several major studio gigs ever since 47 Meters Down hit it big, will also write the movie. Recently, screenwriter Greg Russo revealed that he had turned in his draft of the reboot script to the studio, which would focus more on horror and use the seventh game in the main series, Biohazard, as a touchstone. It would seem that Roberts is going to take a different approach. At the very least, he's going to rework what Russo had done before. 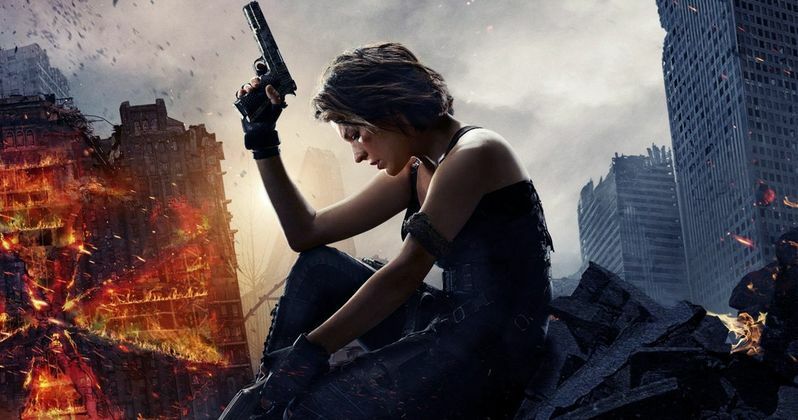 The six previous live-action Resident Evil movies kicked off their run in 2002 and, for a decade and a half, were a staple for moviegoers. The franchise has grossed a combined $1.2 billion globally, despite that fact that critics largely panned the majority of the entries, which were mostly helmed by Paul W.S. Anderson. That figure makes it the most successful movie franchise based on a video game ever, so it's understandable that the studio already wants to get a reboot going. Anderson has since moved on with Milla Jovovich to adapt the video game Monster Hunter for the big screen, leaving room for Johannes Roberts to come in and take a crack at it. Additionally, The Conjuring and Aquaman director James Wan has been brought on board to produce the reboot, which helps to lend it some credibility, given his excellent track record. Johannes Roberts is currently working on 47 Meters Down: The Next Chapter, which is slated to arrive in theaters next year. Once he's done with that, it appears as though he's off to Raccoon City to contend with the T-Virus and the horrors it produces. The Resident Evil reboot does not yet have a release date. We'll be sure to keep you posted as further details on the project are made available. This news was first reported by Variety.